The science section considers themselves the most superior of the Ships sections. They are usually the most educated and do not usually have to get their hands dirty in performing their charge. The science section is divided by scientific discipline; Geology, Biology, Mechanology, High Energy Field Physics, Ætherology, Material Sciences, etc. and also some disciplines not usually categorized as hard sciences such as Cryptology, History and Linguistics. Due to the number of specialties desired and the limited number of science officer posts it seems that every person in the science section is a specialist in multiple fields. Even the lowly post of assistant technician may hold a crewman with a considerable amount of research in his or her chosen specialty. The Science section is known for their inability to come to consensus on any one decision. Every phenomenon discovered will generate several proposals on how it should be managed and studied. This requires that the Chief Science Officer be not only decisive but a master diplomat as well. Just like the Captain the CSO must command the respect and loyalty of the science section if he or she wishes to maintain order, discipline and moral. The science section possesses a treasure of sophisticated equipment and a fair amount of free time to do personal research. When the expertise of the particular specialist is not needed they have time to pursue research and other investigation that may help the Ukp. The invention of oxygen gum was conceived on the HMAS Victory, as was the Concept of sub-æther telegraphy. Each ship has a number of prestigious innovations accredited to their science section. These scientific accomplishments are a matter of pride for all Ætherfleet capital ships. The medical section in included within the science section but the association ends there. The ship's doctors and medics although highly educated have never enjoyed the close relations with their scientific cousins. The medical staff is considered a nurse to the regular crew and not an explorer, discovering new marvels and pushing back the darkness of ignorance. This attitude changes quickly when ætheral viruses are ravaging the ship or a medical tool is needed to save the crew from a new and hostile life form. The science section uniforms are a dark yellow, although all science section agents would insist that the color is gold. The tunic resembles a typical lab coat with insignia and rank on the left epaulette only. The right shoulder is left unadorned, as there are several pieces of equipment and or tool carriers that are worn over the left shoulder. The sleeves of the tunic are cinched tight at the wrist and may include wrist-mounted contrivances. Belts will include pockets and or holstered devices depending on the crewman's discipline. 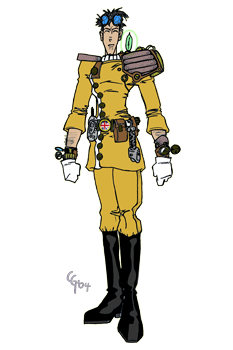 The science section wears Ætherfleet standard, black trousers and high boots. 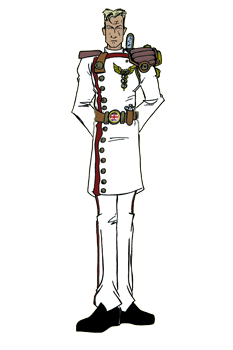 The Medical section uniform is all white with a stiff doctors collar and white gloves. 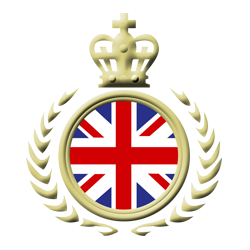 The medical section is the only segment of the Ætherfleet to reject the use of the standard boots and trousers. Instead the medical staff wear comfortable rubber soled, canvas topped low quarters. They are not only comfortable but silent when traversing the ship's gangways.